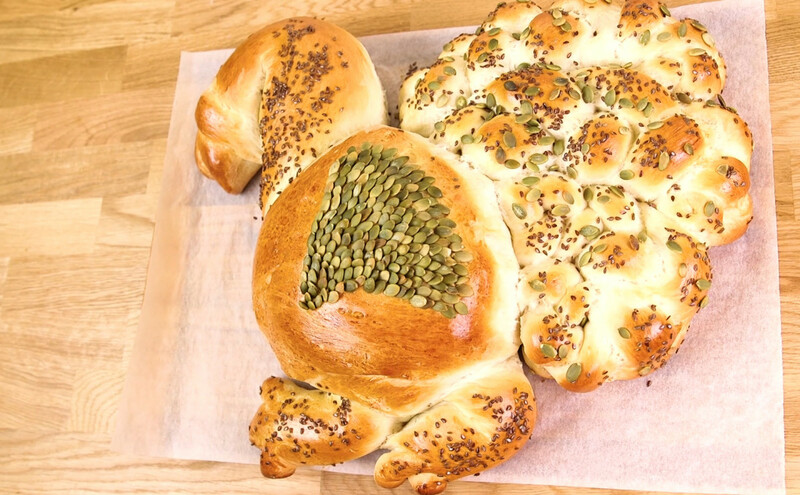 Turn your Thanksgiving challah into a turkey. 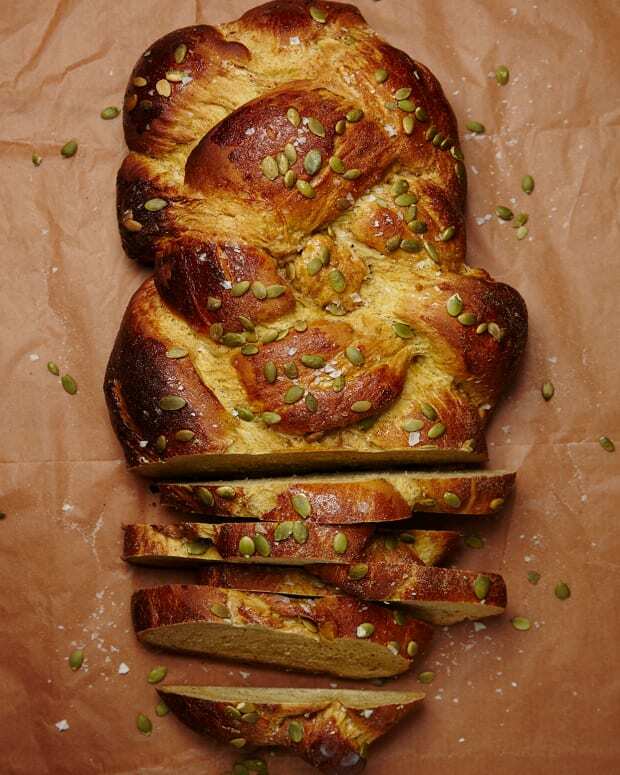 We started with 2 pounds of Jamie’s perfect every time challah dough and shaped it into a festive and delicious centerpiece for the big meal. We&apos;ve included some photos to help you as you shape the turkey. Detailed instructions are below. 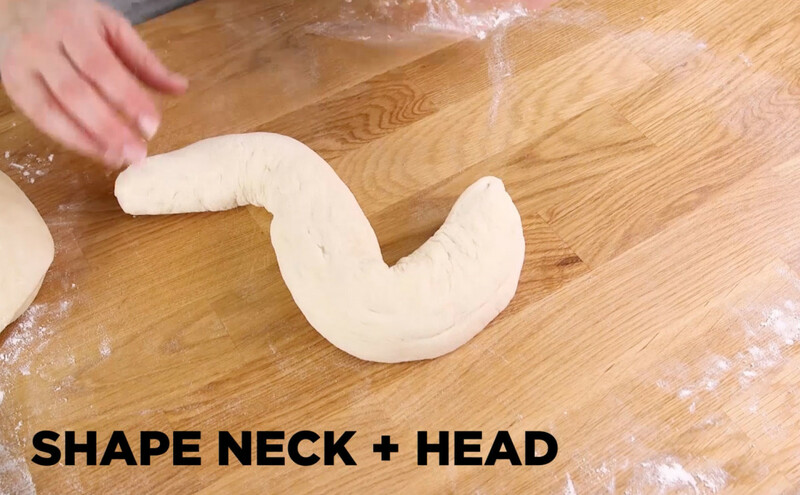 Making a turkey shaped challah starts with some extra cuts and shaping. 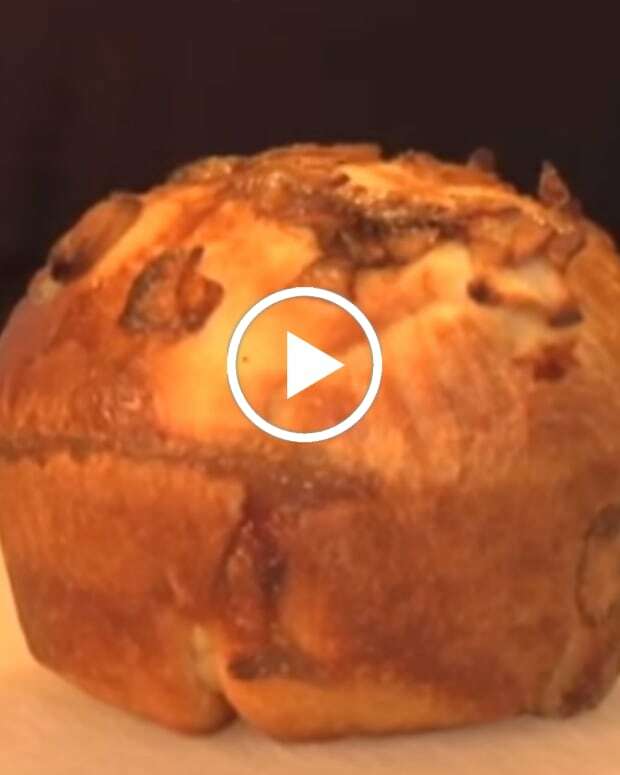 Divide 2-pound dough ball into 3 pieces, with the middle piece being larger. Shape the largest part into a 5- to 6-inch ball and place on prepared pan. 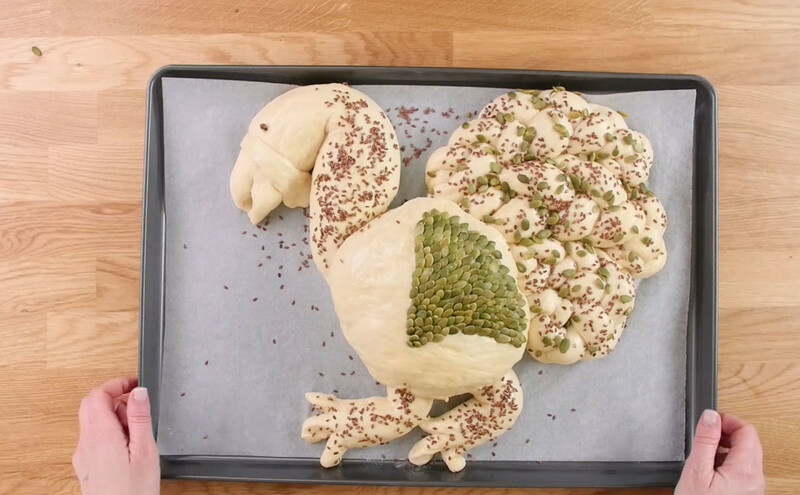 To make the feathers: use one of smaller dough balls to create the feathers. Separate in to 3 balls, and each ball into 3 pieces. You should have 9 pieces total. Braid 3 pieces together for a total of 3 braids. Place pan to the side of the "body." 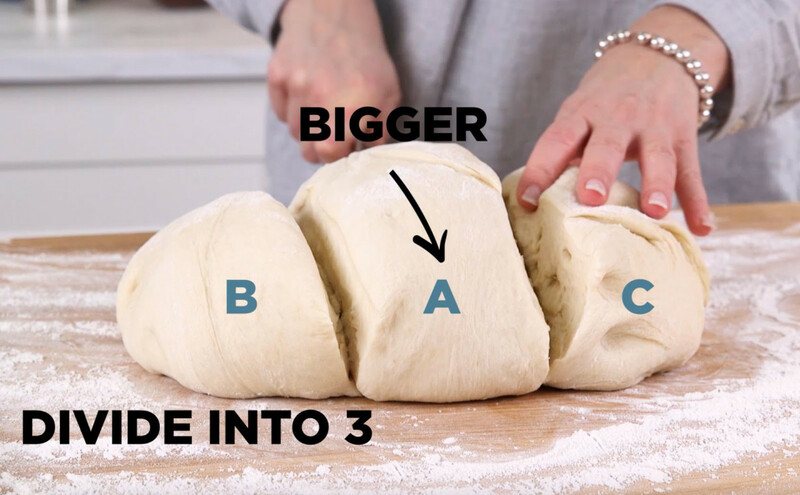 Divide the last piece of dough into 2 pieces. Take one piece and roll into a thick rope, with one side fatter than the other. Snip ½-inch off the thinnest end, and flatten. This is will be the turkey’s waddle. Place waddle across the head. 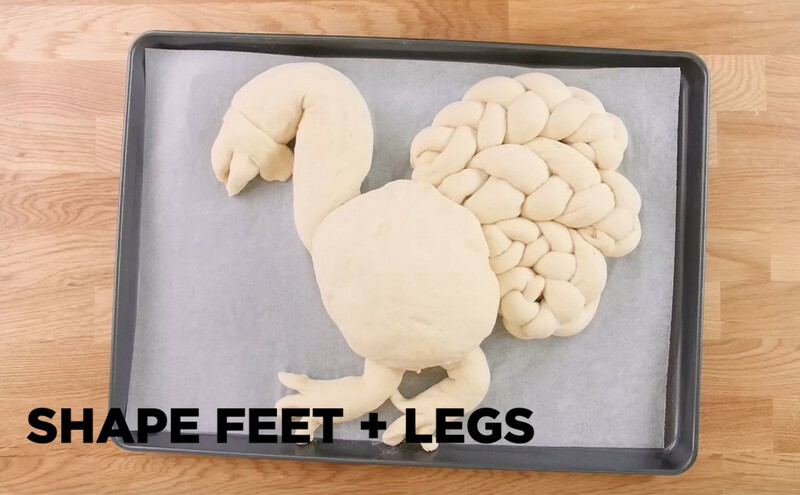 With the last piece of dough, divide in half and shape the feet and legs. Decorate feathers, feet, body, and neck with pumpkin seeds and flax seeds. 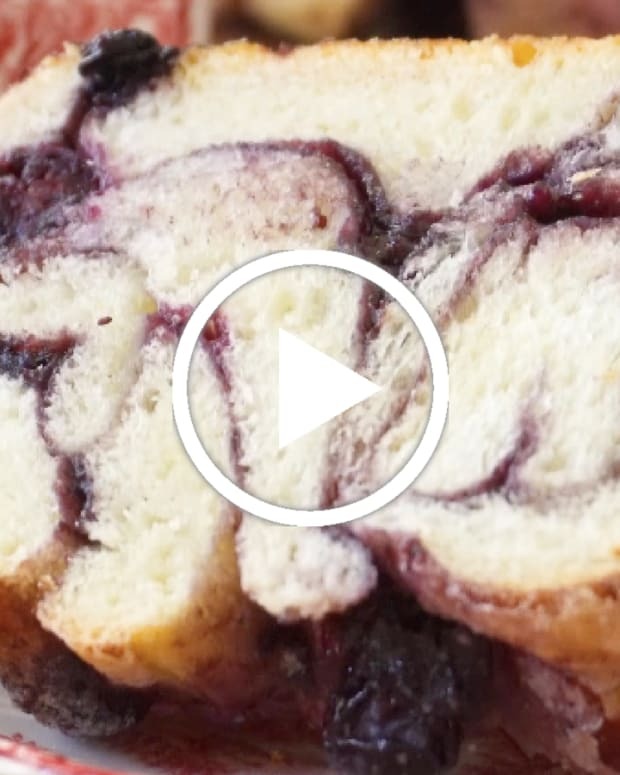 Create an eye with a whole clove. 1. 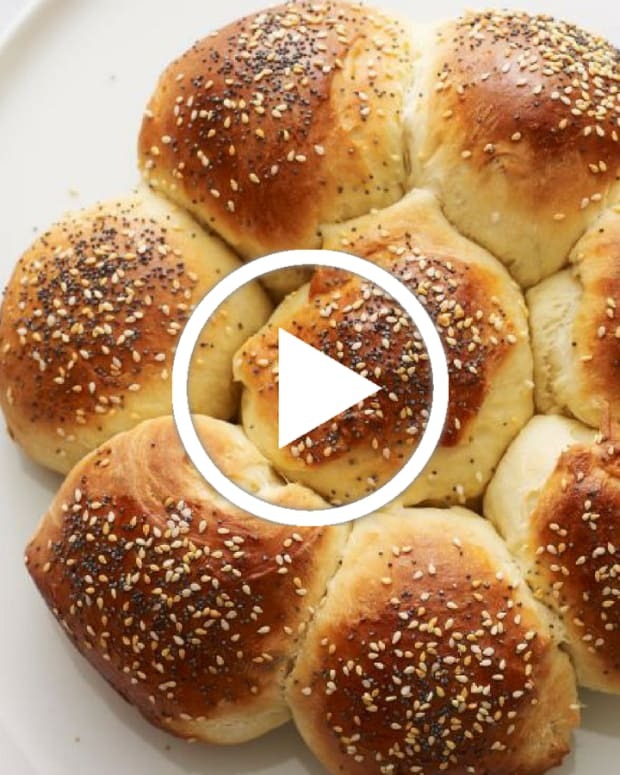 Start with Jamie Geller's Challah Dough recipe. 2. Lightly grease a baking pan. 3. 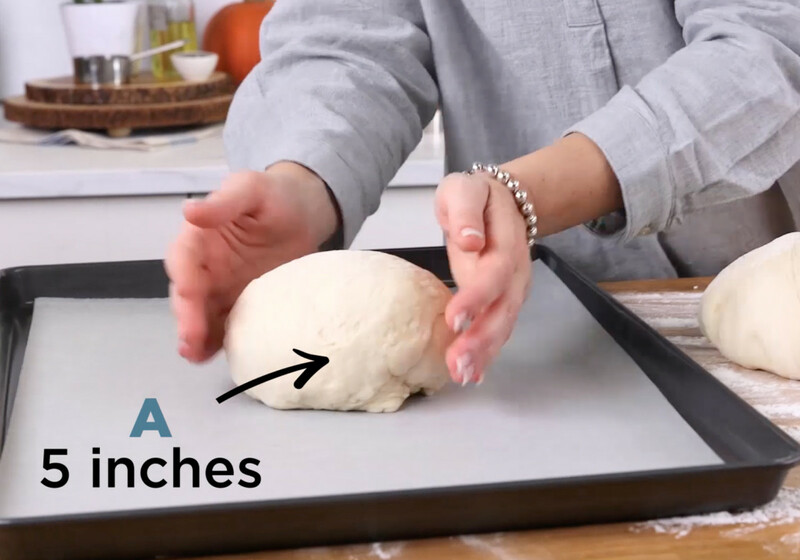 After dough has completed the first rise, place on a floured surface and divide the dough ball into 3 sections. Divide so that the middle section is bigger than the two ends (see photo). 1. 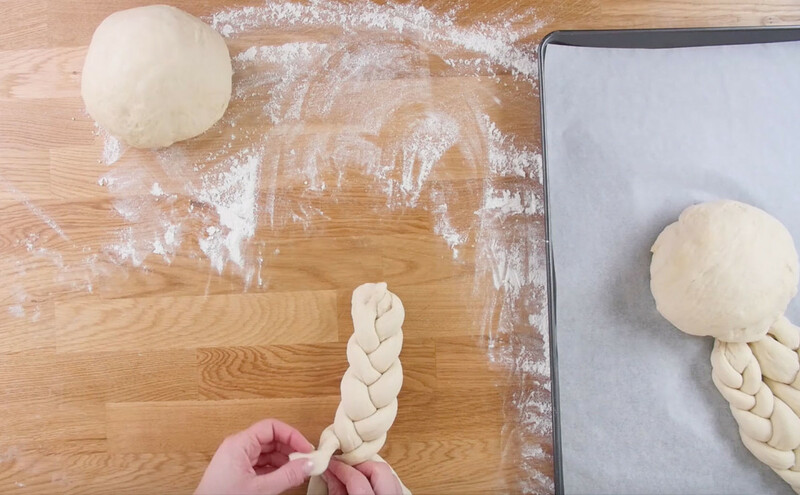 Roll the middle/largest piece of dough into a ball shape about 5 to 6 inches across. Place on prepared pan. 1. Divide one of the smaller sections into 3 pieces and roll into balls. Divide each of those balls into 3 more pieces, you’ll have 9 total pieces. 2. Roll each ball into a 6- to 8-inch rope. Braid 3 ropes together. 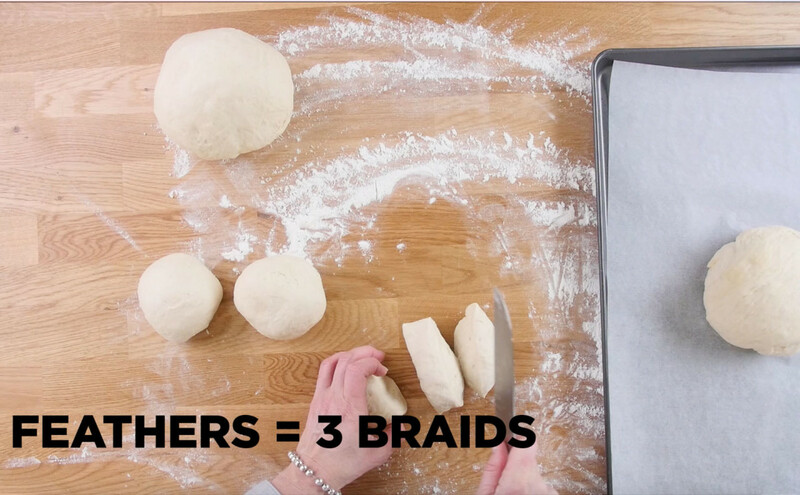 Repeat for a total of 3 braids. Place the 3 braids next to each other to the right side of the turkey’s body on the prepared pan (see photo). 2. Snip ½-inch off the thinnest end, and flatten. This is will be the turkey’s waddle. Place across the head (see photo). 3. Place the thinner end under the turkey’s body on the prepared pan. 4. 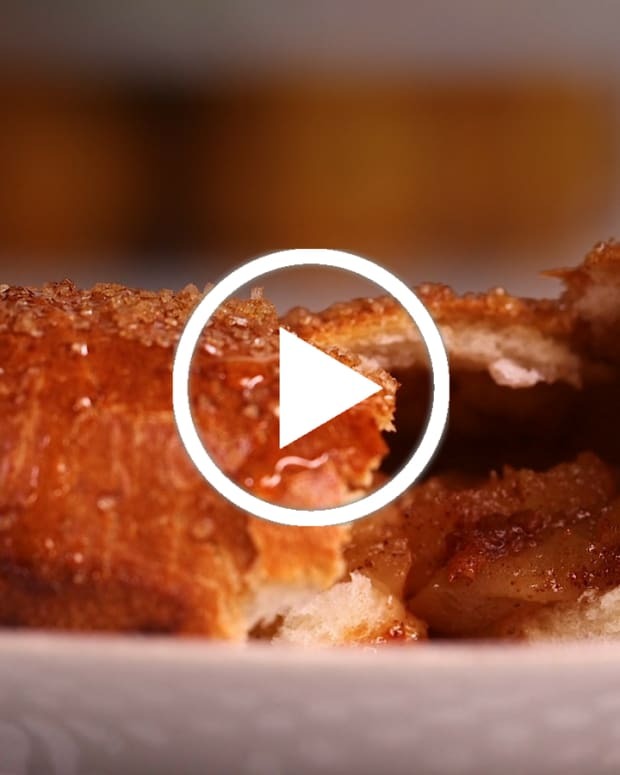 Divide the remaining piece of dough in half. 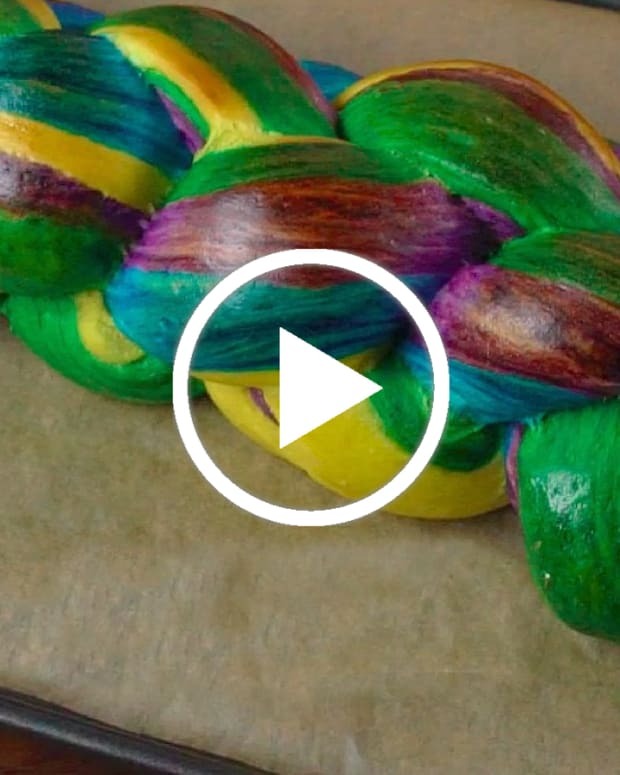 Roll each into a 5- to 6-inch fat rope. Using kitchen shears or a sharp paring knife, snip one end of each rope into 3 “toes.” Place the unsnipped end under the body (see photo). 1. Cover dough with a clean towel and rise for 1 to 2 hours, or until the dough has doubled in size. Brush turkey with egg wash. Decorate body, neck, and feathers with pumpkin seeds and flax seeds. Add 1 whole clove for the turkey’s eye. See video for decorating inspiration. 3. Bake at 350°F for 15 minutes. Then rotate pan and bake for 15 minutes more. Cool slightly before serving.